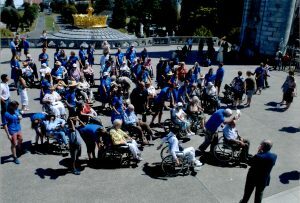 The annual Lourdes pilgrimage is our response to Our Lady’s request to “come to Lourdes in procession” and “bathe in the spring”. The first Pilgrimage was in 1964, and we have been every year since. It is an amazing, memorable experience, do think about joining us! As before, we will go with the Catholic Association, which includes groups from the dioceses of East Anglia, Clifton, Northampton, Southwark, and the Glanfield Children’s Group. We stay in a modern well-appointed Hotel that understands and caters admirably to the needs of all our helpers and pilgrims. 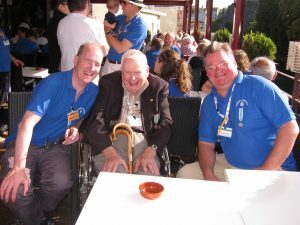 Those of our Assisted Pilgrims who require more medical care are looked after, and feel that all their needs are met in the Accueil, which is situated in the Lourdes Domaine. 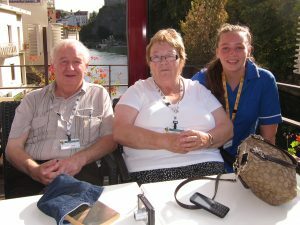 We want to encourage anyone who requires assistance to come to Lourdes with us. 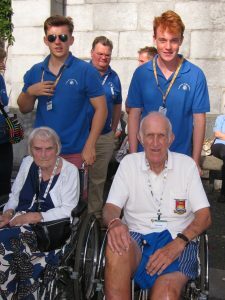 If you could help us to find Assisted Pilgrims we would be most grateful! Ask at your parish! Please remember that if you are travelling independently you still need to complete the Stonyhurst Pink Form! If you have any queries do please contact Mrs Beverley Sillitoe in the Association Office. 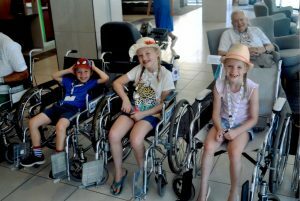 This year 136 pilgrims took part in our annual pilgrimage, from babies to age 95! It was a lovely week, the weather being mainly warm and sunny, and as always the week was filled with much laughter. 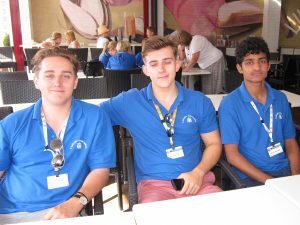 The pilgrimage cannot happen without helpers and this year we had thirty-nine helpers aged between 17 and 30, and twenty-six helpers whose ages ranged from 30 to 79. 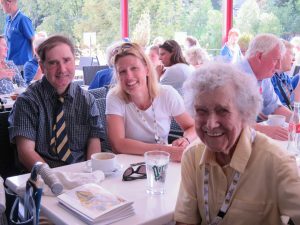 All are valuable and play such an important role as did the many volunteers who this year came forward when they learnt that the Catholic Association was generally short of helpers. Thank you to all of you. We go with a singular purpose, to look after our assisted pilgrims, those who without care could not make this journey, this pilgrimage. 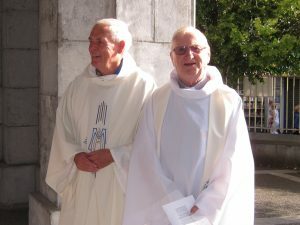 Our assisted pilgrims were at the heart of this pilgrimage as they are each year, and their presence with us is a great joy to all. We had spiritual direction from Father Nick King SJ, our Spiritual Director, from Father Anthony Meredith IC and from Catherine Hanley the Lay Chaplain at the College. Over the course of the week there were many wonderful Masses, night prayers and events, but perhaps special mention of our 9.00am Stonyhurst Mass on Tuesday morning, where we filled the Chapelle Notre Dame des Douleurs and sang Pater Noster, a very lovely occasion. We are now looking to next year, information will be available from February 2019. 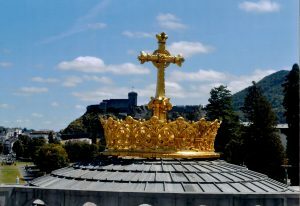 If you know of a person who is unwell or perhaps lonely, and may benefit from a week in Lourdes, please do let us know. 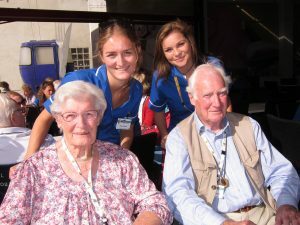 And if you think you could be a helper then do get in touch, we would be delighted to hear from you!